Thanks to FedEx for sponsoring today's post! I was provided with the same gift basket the winner will receive. All thoughts are my own. When my husband and I were first married, we had absolutely nothing. No savings, no furniture, again nothing. We went out and bought the bare essentials but for the most part our house was pretty sparse. Of course that included Christmas decorations. That first Christmas we were married, we had nothing, and it wasn't really in our budget to go out and buy a tree. Thankfully, Trees for Troops came to the rescue. This fantastic program provides trees to military families like ours on bases across the US at no cost. Without this program, we would not have had a tree that year at all I'm sure...and when you are far from loved ones over the holiday seasons, those little things are even more important in bringing in the holiday spirit. We have since built up a collection of holiday decor (to include a Christmas tree), but I will forever be grateful to Trees for Troops for helping our family celebrate that first year! So, what exactly is Trees for Troops? 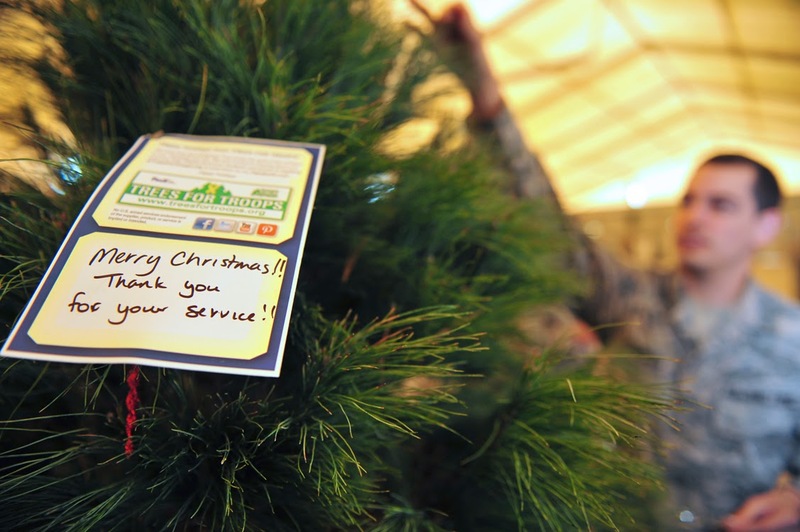 o This year marks the 10th anniversary of the program, which brings together FedEx, the Christmas SPIRIT Foundation and tree farmers across America to deliver real Christmas trees to service members stationed across the U.S. and overseas. Sounds pretty great, doesn't it? I certainly think so. And this year, FedEx and the Christmas SPIRIT Foundation are asking for your help to spread the holiday cheer. It's as easy as saying 'thank you' and sending a special holiday greeting as part of the Tag-A-Tree Campaign. Tweet your message from November 18th—November 24th using the hashtag #TreesforTroops, and FedEx will print out your message and place it on one of the 17,000 Christmas trees going to a military family. It's such a simple act and is truly appreciated by those military families receiving the trees! To celebrate this wonderful program, FedEx is offering one lucky reader a wonderful holiday gift basket valued at $100!!! What's inside? The exact contents will be a surprise, but I can tell you it will be filled with several popular holiday gifts for you to put under your tree! Exciting!! Enter using the Rafflecopter form below!! Trees for Troops is a great program. We all are so grateful for the service of our troops. This is such a great idea! My brother is in the army so I totally support the troops. This is a great program, there is so much more our country as a whole should be doing for our service men and women. 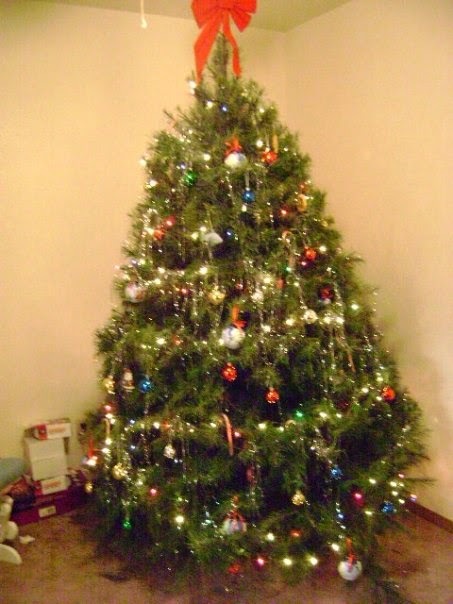 Thanks so cool that there's an organization that provides Christmas trees to military families. Wow, this is a really amazing program that I knew nothing about! Very touching support since Christmas is all about family and tradition!